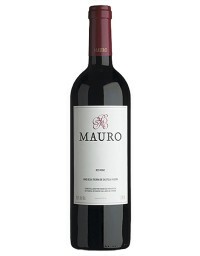 Bottle of wine Mauro Crianza. Bodegas Mauro, consolidated its position as one of the finest wineries in Castile-Leon, putting its efforts into the "moderate-scale" production of top quality wines. 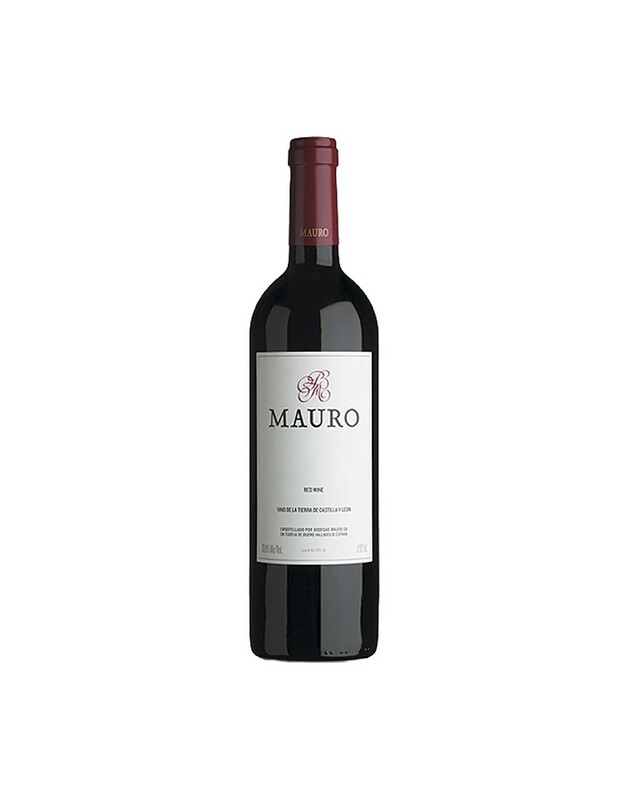 Mauro exemplifies to perfection the strength and intrinsic nature of Castilian reds. Its fine performance as a wine for laying down, along with its powerfulness and elegance, single it out as an excellent choice - an essential addition to every wine cellar.